Luscious Belgian chocolates, anyone? 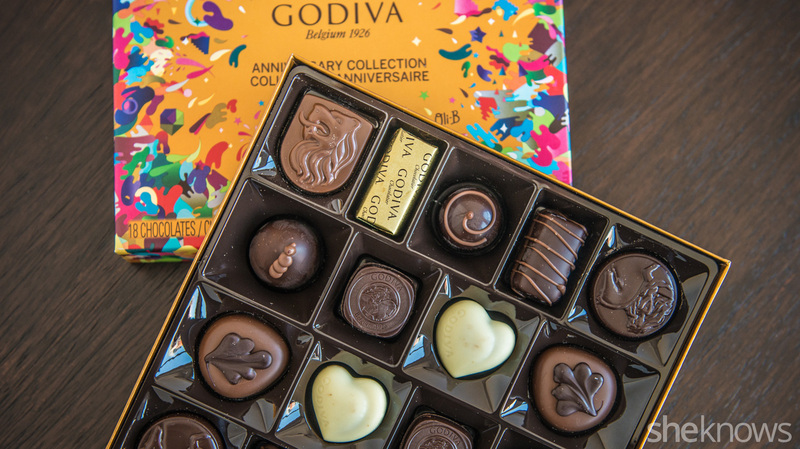 To celebrate its 90th anniversary, Godiva created a new flavor and a special Golden Anniversary Collection gift box. That fun fireworks design is by Brussels street artist Oli-B. 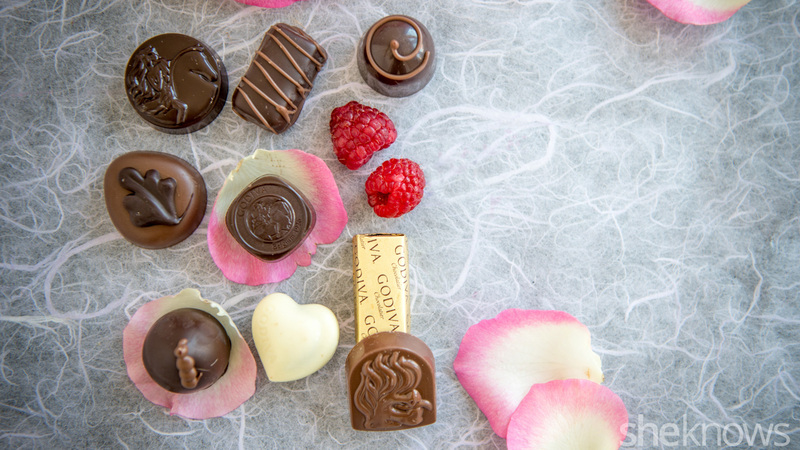 But more important, it’s filled with nine different chocolates, each celebrating a different decade and showcasing the evolution of style and flavors of Godiva. And lucky us, we got to try them all. You’d better, because Godiva puts 12 to 16 months of R&D into each chocolate. So no rushing. “Chocolate is all about a sensual experience. It melts at body temperature,” Chef Thierry added. Well, we tried. Here’s what we thought of our top five. Lady Noir (1926) is “a fine white chocolate ganache laced with exotic Madagascan vanilla.” It’s that larger, embossed round dark chocolate on the upper left side. Everyone loved it. Chef Thierry says it took forever to get that crunchy meringue just right — crunchy, not soggy. Everyone noticed and appreciated it. Egérie Noir (2016), the newest flavor, pictured below, is “the smoothest raspberry ganache, delicately balanced with essence of rose petals and encased in a dark chocolate.” It also happens to be my favorite. 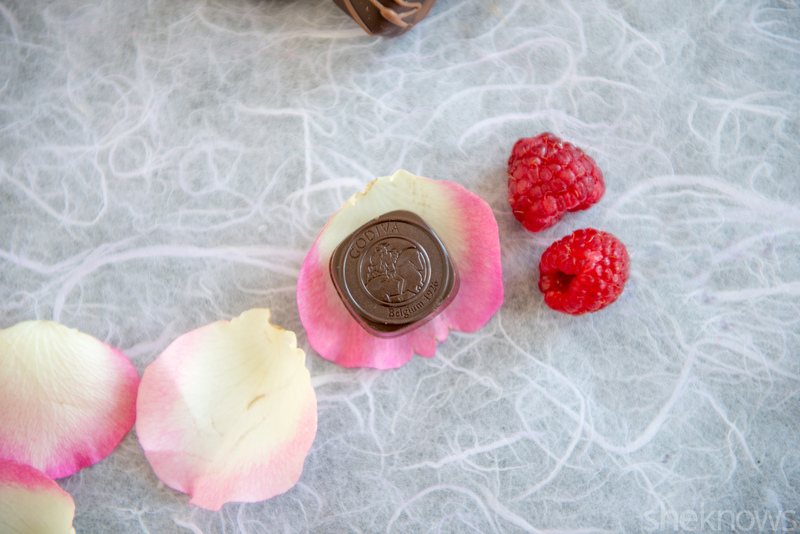 Chef Thierry says the rose extract “brightens the raspberry flavor and introduces a more exotic flavor with a floral note.” But more dominant are the red notes of the raspberry juices. You can try all of these for yourself. The new Godiva Golden Anniversary Collection and Egérie Noir chocolates are available starting today. Just remember: Slow down, and savor your chocolates.